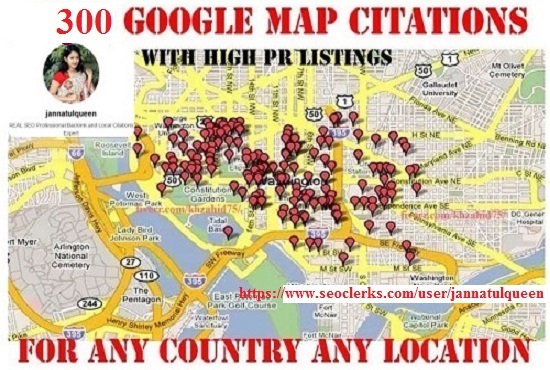 I Will Create 300 Google Map Citations With High DA PA Local Citation Listing …. I will Build 300 Google Map Point Citation With High DA PA Citation Local Listing Aaa SEO. Local Google map point Citation helps to boost Google place ranking on first page. Local Citation is highly recommended for better Google local search results. All are showing your business details. I will build different Local points and some mile radius from your area all points shows your business details. Why my work best ? 300 Google Map Citations With High DA PA Citation local Aaa SEO Listing is ranked 5 out of 5. Based on 9 user reviews.